When you think of the United States Department of Agriculture (USDA), your primary assumption might be that their only role is inspecting your food. 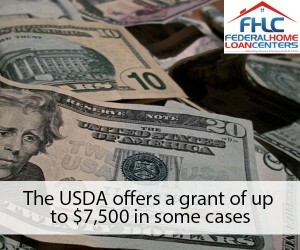 Did you know that they also administer home loans, and sometimes even grants? –Can I rent to others? –Can I refinance the USDA loan? –Can I refinance my conventional loan to a USDA loan? Targeted to low income individuals in rural communities, this loan was put into action to bring commerce to and to strengthen the economy in rural, and sometimes even suburban, areas. The loans encourage home ownership in these areas of the country. There are loans and grants to do home repairs of properties already owned, as well as properties not suited to be owned yet. The loan does not need to be used in the United States either! What is the interest rate and payment timeline of the USDA Home Loan? 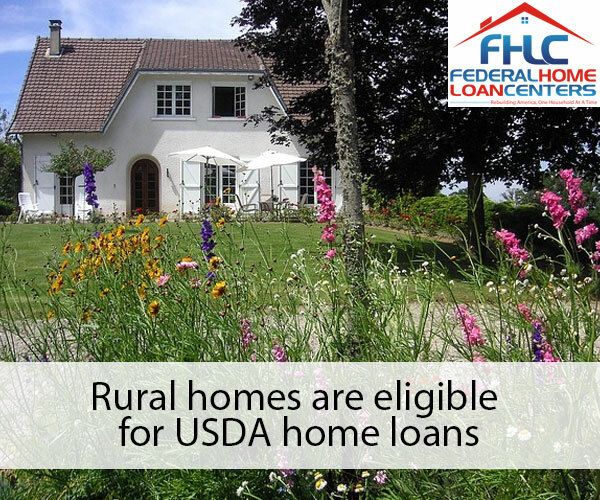 The USDA home loan is incredibly flexible, even though there are obviously applicable conditions, as there are with any lending program. Interest rates are fixed and consumers who are approved for the loan will have 33 years to pay it back. A 38 year exception can be made, if applicants are identified as very low income but still able to repay the loan. How much of an amount can I get on this loan and how much of a down payment is required? Each county has a loan limit, which you will not be able to go above, and you will also have your loan amount determined by repayment ability. Unless the lender requires a down payment due to the evaluation of your assets, a down payment is normally not required with this loan program. You may use our chat feature at the bottom of this page to speak with a loan officer or call 877-432-5626 for more information. What properties can I use the USDA home loan on and where can I live? In order to qualify, you must be living in an area USDA deems rural. Sometimes, a suburb will be found to qualify, too. The USDA typically finds that rural towns are ones that have a population of fewer than 2,500 citizens. Again, there are surprising exceptions and the qualifying areas are not set in stone to this rule. You can not only use this loan in the United States, but you can also use the loan on properties in Puerto Rico, the US Virgin Islands, Guam, American Samoa, the Pacific Islands, and the Northern Mariana Islands. Some lenders will not be able to work with you if you want a property outside of the immediate U.S., and the property you want will need to be deemed rural by the USDA. 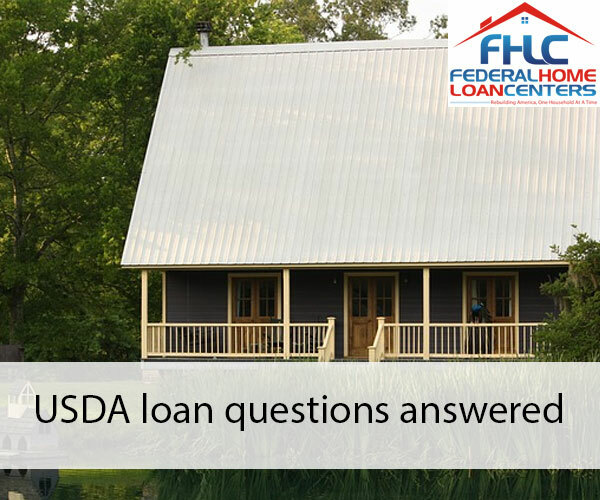 You can contact our office to see if your desired home qualifies for the USDA Home Loan, and calling 877-432-5626. Can I buy a home, or a multi-unit, to specifically rent it out to others? You may only purchase a modest, single-family home under this loan and you must have the intent to occupy the home. However, let’s say an emergency comes up with a relative and you’ll be out of town for easily a month or longer. You can temporarily rent out your home so that someone can help you pay your mortgage for that period of time. Or let’s say you get into an accident and you temporarily can’t work. You can perhaps rent out a room in order to help contribute to the mortgage. What about the USDA grant program you mentioned? What kind of repairs can be approved and how much can I get in order to pay for them? You can get a home rehab loan up to $20,000. 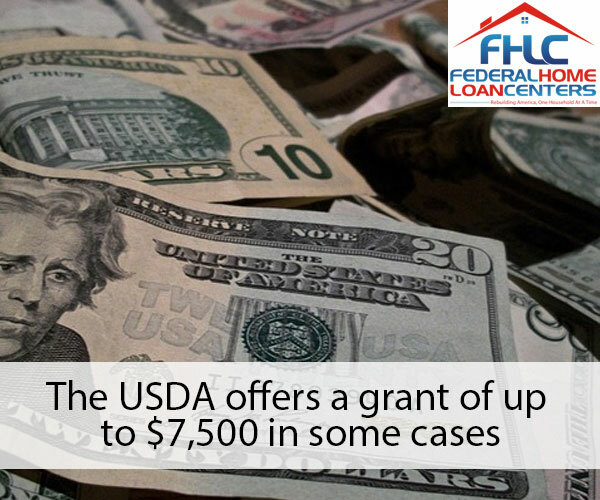 If you are awarded a grant that doesn’t need to be repaid, your maximum is $7,500. Your household income has to be less than 50 percent of the local area median income. Sometimes a loan and grant can be combined. These loans may only be used to eliminate safety and health hazards, or to modernize the home with adaptations or energy efficiency measures. You can’t use these rehab grants or loans toward interior issues in the home that do not interfere with quality of living. Even if the wallpaper is REALLY ugly. Can I refinance the USDA loan, since they fix my rate either to the current rate at the time of my closing or approval? Absolutely. 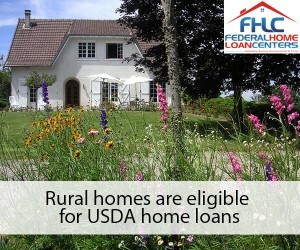 Current rates are very low, so the USDA established a streamlined refinance program in 2012. This pilot program is fast and effective, but it’s only available on certain USDA home loans and no cash outs are allowed. If I already have a conventional loan on a USDA approved “rural” property and want to refinance, will I be able to do that? You likely will not be able to do that. 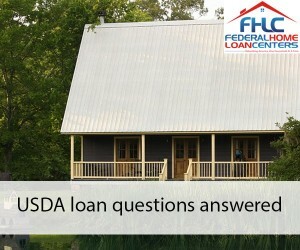 Contact our office or click here to read more about USDA loans. Call 877-432-5626 9-5pm Pacific Standard Time to speak with a loan officer. Applicants need to have an income that is at the level, or below the level, of the area’s low income limit. Though the applicants must be low income, they must be able to show they can repay the loan over time. This is done through showing a steady 2 year history of employment, a credit score of 620 or more, and a DTI (debt to income ratio) where a minimum of 29 percent of your income is disposable. As mentioned before, the potential USDA home loan owner needs to provide proof that they cannot obtain credit anywhere else for a home, or home repairs, without assistance. The low interest, long term program rewards those on top of their finances – paying the loan off early will not result in a penalty fee! Are there any other facts on USDA home loans I may not have known that I may need to know? If you are over the age of 62, you will have a greater chance of getting home repair loans or grants to remove safety and hazard issues from your home. Also, if you have any other sizable debts such as a car loan, medical bills, or student loans, they are factored into your DTI and will not prevent you from getting this loan.